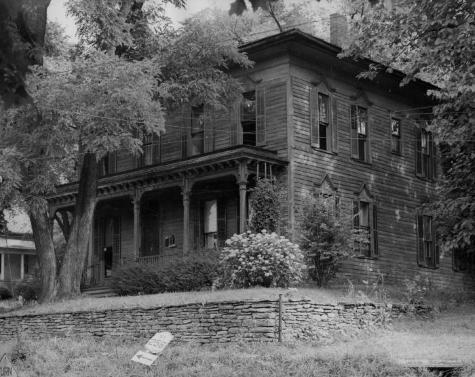 Photograph of Clara Barton's home in Dansville, New York. This building was home to Clara Barton from 1876 to 1886. Barton, known as the "Angel of the Battlefield" during the Civil War for her work as a nurse, was the founder of the American Red Cross. Source: New York State Archives. New York (State). Education Dept. Division of Archives and History. Photographs of historic sites and structures, 1936-1963. Series A0245-77. Livingston County.